As a breath health specialist, I find myself treating patients with chronic sinusitis and frequent sinus infections. Not only are sinus infections miserable, but they also contribute to the bacteria-friendly environment that results in severe halitosis. Symptoms of sinus infections include headache, low grade fever, ear fullness, facial pressure, fatigue, bad breath, a foul taste in the mouth, and an unsettling feeling that your head is "heavy." Many of my patients seeking to cure chronic halitosis also experience intermittent sinus infections. The sinuses are cavities and channels in the skull that allow air to flow and mucous to drain into the nose. When mucous membranes become irritated (often by a cold, allergies, pollutants or exposure to unusually dry or chilly air), they become irritated and inflamed. When your membranes are irritated, the tiny hairs that move the mucous out of the glands slow down, leaving mucous to sit still in the head. Irritation also puts mucous glands into overdrive as they fight to purge bacteria. The glands thus secrete more mucus than the norm and the sinus cavities become clogged with mucous. The result is a bacteria friendly environment that is prone to infection. So the key to preventing and treating sinus infections is reducing irritation and inflammation, and clearing out trapped mucous. The following tips will help you keep your nasal passages healthy and stave off the unpleasant symptoms of chronic sinusitis. Gently blow your nose on a regular basis and always wash your hands after blowing. Irrigate the nasal passages regularly using a high quality nasal irrigation system and medium warm salt water or saline solution intended for nasal irrigation. When congested, take an antihistamine or decongestant to reduce inflammation, thus allowing for the nasal passages to drain. Apply warm, moist heat to the area. The heat will help break up mucous for more efficient draining and will reduce sinus pressure. Simply apply a warm wash cloth to your face for a few minutes while in the shower. If discomfort persists a humidifier and warm facial compress can be helpful - just be sure to test the temperature before applying the compress to the face. My clients have also found the scent of eucalyptus particularly soothing. Dilute mucous by drinking lots of water, hot tea or hot water with lemon. Proper hydration is critical to sinus health, but avoid dairy liquids and products as they can trigger congestion. If you are prescribed a series of antibiotics by your physician, be sure to take the entire series. Do NOT stop as soon as you start feeling better as that can lead to further infection with bacteria that is more resistant to treatment. If your sinus issues persist, visit an ear, nose and throat specialist to rule out more serious conditions. For more tips on sinus health and treating chronic, severe bad breath, please visit The Center for Breath treatment’s website. About the Author: Dr. Anthony Dailley has been practicing dentistry since 1981 and conducts research pertaining to bad breath remedies and treatments at the California Pacific Lab. He has a degree in Cell & Molecular Biology from San Francisco State University and a dental degree from the University of the Pacific School of Dentistry. Dr Dailley specializes in curing bad breath and founded the Center for Breath Treatment as well as NovaBay Pharmaceutical, a publicly held biopharmaceutical company. Breath fresheners that contain sugar or alcohol can actually make breath worse. The bacteria in your mouth actually feeds off of the sugar - reproducing and creating sulfur compounds. Likewise, alcohol dries out the saliva that naturally breaks down debris. Mints and gum just make the problem worse. A better strategy is using a breath freshening capsule like BreathGemz. These pills eliminate bad breath rather than masking it and neutralize food odors including garlic, onions, and spicy foods. Breathgemz contain an all-natural liquid containing a blend of parsley seed oil and sunflower oil and are coated with a proprietary coating called Instimint™ that produces an instant minty fresh feeling. The combo addresses bad breath from the inside out. Take one before the date and a couple after diner as well. With first date jitters it can be easy to drink more alcohol than you would otherwise, but alcohol is a drying agent and drinking alcohol in excess can quickly kill off saliva, which is important in maintaining good breath. Additionally, some liquor and dark beers can cause strong unpleasant odors in even the freshest of mouths. Smoking can cause a stale smoky odor to linger in your mouth long after you’ve finished a cigarette and it also dries the mouth, making a more hospitable climate for bacteria. If you want to be ready for a spontaneous kiss avoid smoking before the date (and consider quitting for good to improve your health and breath for good). Nerves can cause dry mouth, and a dry mouth can exacerbate bad breath so make sure you get plenty of water before and during the date. Don’t be afraid to bring a water bottle on your way to the date and order a glass of water with dinner. Drinking water regularly will not only improve your breath, it will also improve your skin and overall health. Certain foods such as garlic, onions, citrus juices, and coffee are considered “bad breath foods.” Acidic foods like tomatoes, oranges, pineapple, and grapefruit can upset the pH balance in your mouth, causing bacteria to multiply faster. Avoid these ingredients, if possible, to make it easier for breath fresheners to do their jobs. Remember, at the end of the night, if the date went well, lip locking is a possibility, but certainly not required. If you are concerned about your breath consider a romantic hug and kiss on the cheek. This will allow you to buy some time and let the relationship grow a little deeper before having to broach the subject of bad breath. These tricks will help minimize the difficult dating situations that bad breath can cause, but they won’t cure the problem for good. With holiday parties, seasonal get-togethers, and mistletoe sightings around the corner, it's time to stock up on the recommended products that can help eliminate your halitosis. If you suffer from chronic seemingly untreatable halitosis visit a clinic specializing in bad breath treatment, as there are a number of potential medical and physiological factors that a professional will be able to diagnose and address. About the Author: Dr. Dailley has been practicing dentistry since 1981 and founded the Center for Breath Treatment in 1996. He holds a degree in Cell & Molecular Biology from San Francisco State University as well as a Dental Degree from the University of the Pacific School of Dentistry. Dr. Dailley performs on-going reserach for bad breath solutions to help cure bad breath. Visit Dr. Dailley, a bad breath dentist with a 99% success rate. Last week we discussed common misconceptions that our culture perpetuates regarding chronic bad breath, or halitosis. This week we’ll review those five myths and go into the reality behind them and how to remedy bad breath knowing those myths. Despite common rumors about mouthwash being the quick fix to bad breath, mouthwash in fact does not remove severe bad breath. It’s true that using mouthwash as part of your dental hygiene routine helps promote positive dental health; however, mouthwash cannot fix halitosis. When one suffers from chronic bad breath, the cure is far beyond practicing good oral hygiene. Mouthwash can actually worsen severe halitosis because the alcohol present in mouthwash exacerbates the halitosis condition by drying the mouth. Reality: Use an alcohol-free mouthwash to continue practicing healthy dental hygiene without further dehydrating your mouth. If you find bad breath persists, visit the Center for Breath Treatment to discuss options for remedying chronic bad breath. This well-known ‘diagnosis’ for bad breath is unfortunately, misleading and ineffective. As we mentioned in our previous post, your nose grows accustomed to the scents surrounding it and therefore, cannot detect chronic, ongoing bad breath. The cup your hands and sniff method may be effective for self-diagnosing momentary bad breath (like right after eating an onion), but fails to accurately reveal chronic bad breath. Dr. Dailley specializes in getting rid of bad breath for his patients who suffer from chronic halitosis and often needs to dispel the myth himself that bad breath exists because of a lack of proper hygiene. He notes that most halitosis patients come to the Center For Breath Treatment practicing consistent and healthy dental hygiene. For chronic and severe bad breath, the problem typically exists because of hereditary issues or a physiological conditions and have no correspondence with proper oral hygiene. Reality: 90% of bad breath problems come from an excess of a certain type of bacteria present in the mouth. Various causes may trigger the production of these particular bacteria, such as sinus congestion, allergies or post-nasal drips and other nasal-related conditions. Temporary bad breath can emerge from eating foul-odor producing foods; however, the bad breath is transient and can be neutralized by brushing teeth, using mouthwash or chewing gum. When speaking about halitosis, or severe and chronic bad breath, the mouth odor exists regardless of food consumption. Reality: Halitosis persists regardless of the foods consumed or the foods avoided. As mentioned earlier in this post, 90% of halitosis cases are caused by hereditary or physiological issues. Furthermore, only in rare and extreme cases does halitosis exist due to stomach or medical reasons. It’s important to speak with a breath cure specialist to examine your symptoms and condition to determine the best course of action to battle your bad breath. Some people have tried the popular misconception ‘cures’ to bad breath without success and come to the conclusion that there is no cure for bad breath . The reality is that those ‘cures’ for bad breath are directed toward momentary, situational bad breath, not toward chronic bad breath. The most important step in fighting bad breath is accurately determining the cause of bad breath. Reality: There IS a cure for bad breath. Dr. Dailley’s patients experience a 99% success rate when treated because he can examine the symptoms and causes of the halitosis thus determining a cause. If you live outside of California and cannot visit the Center for Breath Treatment in person, an at-home treatment kit to fight bad breath is available to remedy your bad breath. Give us a call at 1-888-FRESH-03 (1-888-373-7403) to set up a bad breath consultation. Bottom line: There IS a cure for bad breath. Seek help and take action now! About the Author: Dr. Anthony Dailley has been practicing dentistry for over 30 years and conducts research pertaining to bad breath treatments and remedies at the California Pacific Lab. Dr. Dailley holds a degree in Cell & Molecular Biology from San Francisco State University as well as a dental degree from the University of the Pacific School of Dentistry. Dr Dailley specializes in curing chronic bad breath and founded the nationally acclaimed Center for Breath Treatment. Halitosis, or bad breath, affects more than 90 million people in the United States though many people remain unaware as to how to treat and live with this condition. The good news is that remedies exist for bad breath and it is fixable; the bad news is that few people want to talk about it. Unfortunately, with the vast amount of people suffering from unpleasant odor emission when breathing, just as many bystanders experience the smell. Many times, people with halitosis are unaware they have bad breath because an individual becomes accustomed to one’s own odor. More often than not, friends, family and colleagues, in an attempt to be sensitive and avoid uncomfortable conversations, tend to avoid and draw back from the person suffering from halitosis. If you notice a close friend or family member exhibiting signs of chronic halitosis (foul odor from the mouth that cannot be eliminated with normal oral hygiene products), you should address them. Getting up the courage to discuss a potentially awkward topic will be hard, but the payoff for your friend will be worth it. 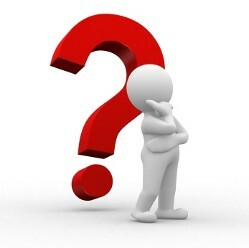 Think about it – wouldn’t you want someone to tell you so you could learn how to get rid of bad breath ? There are a few ways to go about speaking to someone about their bad breath. Be clear and honest. Find a time where the two of you are in private where you can bring up this potentially embarrassing problem. Start the conversation letting the person know that you noticed the bad breath and weren’t sure if he or she was aware. Let the person know that there is a remedy for halitosis and medical solutions to help fight the smell. Or you could pull the passive, more inconspicuous route to bringing up bad breath. Offer a piece of gum to a friend, or suggest brushing teeth after going out for a meal. If the friend denies, through in a friendly “I think that you need to.” This slyly brings up the topic without having to talk about the bad breath. A final way to bring up a friend’s bad breath is to naturally bring up bad breath in an everyday conversation. Inquire and investigate what your friend knows on the cures for halitosis, the medical signs of bad breath and how to remedy and fix bad breath. 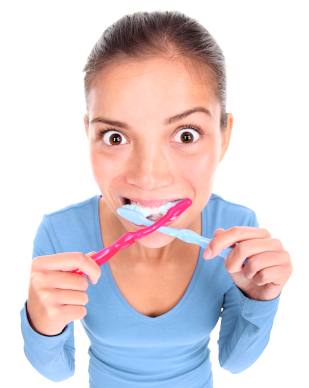 If your friend is blissfully unaware, bring up some ways to self diagnose bad breath. I think direct and honest is always the best approach, even if it may be uncomfortable for a short bit of time. Being passive and indirect may eventually lead your friend to figure out he or she suffers from chronic foul breath, but they also may miss your hints entirely. Figure out the best approach that works with your conversational style and remember, be kind. If your friend listens and wants to know more, let them know about The Center for Breath Treatment. Additionally, if your friend has a raspy voice and has experienced post nasal drip, bad breath is an inevitable side effect. Talk to them about sinus and nasal irrigation systems which help combat bad breath as a result of post nasal drip. The link between bad breath and nasal systems is strong and is worth researching. For more information on bad breath solutions and products, visit The Center for Breath Treatment online or call 1-888-373-7403. About Dr. Dailley: Dr. Dailley has been practicing dentistry since 1981 and founded the Center for Breath Treatment in 1996. He holds a degree in Cell & Molecular Biology from San Francisco State University as well as a Dental Degree from the University of the Pacific School of Dentistry. Dr. Dailley is performs on-going halitosis research for both the Center of Breath Treatment and NovaBay Pharmaceuticals, a publicly traded biopharmaceutical company where he serves on the Board of Directors. The Center for Breath Treatment is proud to announce a new location for our halitosis clinic. You will now be able to receive halitosis treatment at 2999 Regent Street, Berkeley, CA., just 10 minutes east of San Francisco. The Center for Breath Treatment’s new location offers state-of-the-art technology, private treatment rooms, and convenient parking. One thing hasn’t changed though… you will still receive individual treatment from Dr. Anthony Dailley, the foremost bad breath specialist in North America. Dr. Dailley has been providing bad breath causation diagnosis and treatment to severe halitosis sufferers for more than 15 years, successfully curing bad breath for more than twelve thousand patients with an astounding 99% success rate. As the leading expert in the field, he understands the tremendous psychological toll severe halitosis can take. For this reason, he has committed his career to helping those who have been hindered and shamed by this ailment, allowing them to cure their halitosis condition and go on to do things in life they never before thought possible. The Center for Breath Treatment is about more than masking the condition or temporarily relieving symptoms. Rather, Dr. Dailley specializes in diagnosing the underlying physiological and biological root causes for severe chronic halitosis. Many patients, desperate to cure their severe bad breath, travel hundreds, even thousands of miles to visit the center to meet with Dr. Dailley and his team. There, Dr. Dailley applies a methodical scientific approach to curing halitosis that takes into account microbiological, dental, medical, and lifestyle-related variables. The full cost of formal treatment at The Center for Breath Treatment is $650 (USD). This fee includes all appointments, as well as recommended prescription medications and over-the-counter products. Visits to the clinic include a comprehensive patient interview, a thorough review of the patient’s dental and medical history, a complete oral examination, and breath analysis with the Halimeter™, which assists in determining the degree of severity and source of the halitosis symptoms. After the comprehensive overview is completed, each patient receives a custom tailored treatment plan that addresses their specific needs. As a halitosis specialist at the Center for Breath Treatment with more than 15 years in the field, I have been asked to endorse a number of bad breath products. Most of these products were ineffective. They tend to focus on superficial "cover up" techniques and almost never use true science to address the condition’s root cause. Many of these products operate under the assumption that all bad breath can be treated the same, which is simply not true. As a point of principal, I turn these ineffective, one-size-fits-all products away. I have spent the last 15 years carefully testing and selecting products that I know will work for my patients. I cannot risk my professional reputation on a product that makes promises it cannot deliver. Likewise, I have also turned down the opportunity to produce our own branded products because of the inherent conflict of interest it would create. I’m not interested in becoming a marketer for my own line of products. I would rather continue to use the best products available and focus on helping my patients and treating their halitosis with a 99% success rate. Needless to say, it is rare that I find an innovative, effective bad breath product that genuinely excites me. That is why I am so pleased to announce that I have agreed to be the official dental spokesperson for BreathGemz bad breath pills. 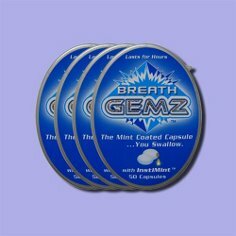 Manufactured by Gemz Brands USA, and also endorsed by both Larry King and his wife, Shawn King, BreathGemz are a completely unique approach to food-related bad breath. The capsule is made up of two parts. The pill features a proprietary Instamint coating that dissolves quickly in the mouth, delivering a fresh, minty flavor and sensation. After 60 seconds, the Instamint will have fully dissolved and you then swallow the pill, which contains all-natural ingredients that neutralize the offensive odors that are produced during food decomposition. These odors are unpleasant and often escape through one’s breath. BreathGemz not only address the immediate smell of the food on the breath (even garlic, onions and spicy foods), but it also counters the smells that are produced when these foods are broken down. The bottom line: BreathGemz are are innovative, unique, all-natural, scientifically proven, easy to use and highly effective. For these reasons, I highly recommend them to individuals who worry about food-related bad breath. As a halitosis specialist, I understand the psychological impact that bad breath can have on one’s self confidence and well-being. If you love garlic, but hate worrying about your breath, I enthusiastically recommend BreathGemz. However, if you suffer from severe, non-food related halitosis, this product alone won’t be able to solve your problem completely. You may need to address other biological factors such as biofilm bacteria, sinus issues and even taste bud shape and size. If you suspect that your bad breath is more than just what you ate, I recommend you visit the Center for Breath Treatment, our specialized clinic located in the San Francisco bay area. If you cannot make it to San Francisco, I also offer free phone consultations. There are two types of bad breath, transient and chronic. Transient bad breath, as the name implies, is a temporary condition. Transient bad breath may be caused by a variety of factors including, but not limited to dietary habits, inadequate oral hygiene, dehydration and certain prescription medications. Chronic bad breath also known as chronic halitosis is a long lasting and recurrent condition frequently caused by a proliferation of a specific types of bacteria residing in the mouth, gum disease, or an underlying medical condition. Unfortunately, chronic bad breath may be difficult to treat and will most likely require that you visit a dental professional who is knowledgeable about halitosis to fully cure chronic bad breath. On the other hand, most causes of transient bad breath are highly treatable. Below are a few tips for getting rid of transient bad breath. Simply avoiding pungent smelling foods such as onions and garlic is an easy way to avoid bad breath. If you’re suffering from frequent bad breath your may also want to avoid alcohol based mouth rinses, excessive drinking of alcoholic beverages, and spicy foods because these have been shown to cause transient bad breath as well. If you do not wish to modify your diet, you can always elect to chew medicated sugarless gum or fresh parsley in an attempt to mask any offensive odors. A really effective product we recommend for food induced odors is a product called Breath Gemz. Regular brushing and flossing is not only important for maintaining proper oral health, but will play a tremendous role in your efforts to combat bad breath. A high quality sonic toothbrush not only provide excellent cleaning, but will reduce hard to reach plaque and bacteria which frequently cause bad breath. Standard dental floss or better yet a hydro floss oral irrigator are excellent methods for improving overall oral health and alleviating bad breath too. Dehydration is another common and often overlooked cause of bad breath that can easily be treated. When the body becomes dehydrated there is a decrease in saliva production which can cause an increase in the number of odorous bacteria residing in the mouth. Simply drinking a glass of water after each meal is a great way to promote adequate hydration and to prevent bad breath caused by dry mouth. If you’re suffering from frequent dry mouth due to factors other than dehydration such as an adverse reaction to a prescription medication you can use a saliva stimulating product such as SalivaSure, OraMoist, or Salese to promote proper saliva production. We do recommend adults to consume 8 glasses or 2 quarts of water per day. Bad breath should be taken seriously as it can be an indicator of a more serious underlying medical condition. Various lung conditions, kidney problems and certain rare gastric issues can all cause bad breath. If you’re experiencing frequent bad breath and you are unsure as to what the underlying cause may be, we highly suggest you seek professional medical or dental treatment. 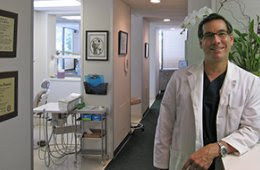 About the Author: Dr. Anthony Dailley has been practicing dentistry since 1981 and specializes in bad breath treatment. He has a degree in Cell & Molecular Biology from San Francisco State University and a dental degree from the University of the Pacific School of Dentistry. Dr Dailley founded the Center for Breath Treatment in the bay area and currently conducts research on curing halitosis at the California Pacific Lab facility in Novato California. When it comes to halitosis, there are a number of different possible underlying biological root causes. One of the most commonly identified factors is your oral environment (i.e. the state of your mouth). Even if you brush several times a day, brushing with a standard toothbrush will not remove the plaque and bacteria that exist in hard-to-reach areas between teeth, in deep molar crevasses and even lodged deep within taste buds. If you suffer from chronic bad breath (halitosis), you should look into using a sonic toothbrush, such as the Oral-B Sonic Complete. Numerous clinical studies have shown electric and sonic toothbrushes to be far superior to the standard option, removing nearly twice the plaque between the teeth as manual toothbrushes. For this reason, the vast majority of dentists recommend sonic toothbrushes over basic manual toothbrushes, and even the common electric "spin brushes" that are so popular. The sonic toothbrushes are especially beneficial for patients with heavy plague issues and receding gum lines. Sonic toothbrushes are also much gentler to the gums and teeth than manual or "spin brushes" because they don't clean using the typical abrasive scrubbing technology. Sonic toothbrushes use high speed (think 31K strokes per minute!) and sonic wave technology to effectively remove bad breath causing plaque and bacteria. In fact, the sonic wave technology removes bacteria 2 to 3 millimeters beyond the sonic brush’s bristles, deep between the teeth, without even having to touch the plaque itself. These devises will not only help you combat bad breath, but also gum disease and surface stains. A quality sonic toothbrush reduces tooth and gum abrasion (receding gums), while also being gentle enough to use on sensitive teeth. If you have bad breath and you would like to find the best sonic toothbrush for treating halitosis, I personally recommend the Oral-B Sonic Complete Toothbrush. While my clinic has no affiliation with the Oral-B, we have found this specific sonic toothbrush (model to be especially effective at removing bacteria from the tongue, including deep within the taste buds, a major contributing factor to chronic bad breath. In fact, at The Center for Breath Cure, we have found that nearly 90% of chronic halitosis patients possess longer-than-average taste buds. These enlarged taste buds trap bacteria, debris and mucous, all of which lead to very bad breath and often cannot be removed with a simple tongue scraper. Still suffering from halitosis? Request an appointment to cure your bad breath problem by calling 1-888-373-7403. I am happy to provide free phone consultations as well. About the Author: Dr. Anthony Dailley has been practicing dentistry since 1981 and conducts research pertaining to bad breath remedies and treatments. He has a degree in Cell & Molecular Biology from San Francisco State University and a dental degree from the University of the Pacific School of Dentistry. Dr Dailley specializes in curing bad breath and founded the Center for Breath Treatment as well as NovaBay Pharmaceutical, a publicly held biopharmaceutical company.